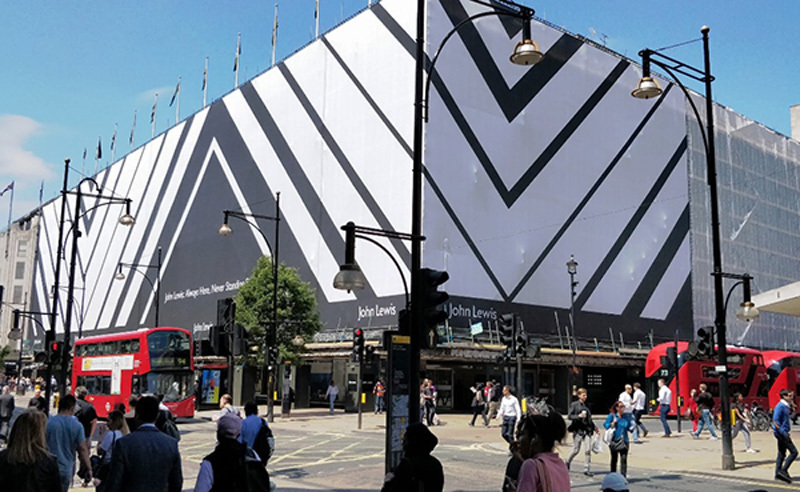 Building wraps are popping up more frequently on high streets and at shopping centres around the UK. Many retailers are seeing the opportunity to maximise sales, minimise disruption and also promote their brands and the future launch of their revamped stores whilst the refurbishments are still taking place. Printed scaffolding banners and building wraps provide a great way to really enhance the location rather than annoy and frustrate customers during the works. They can be used to provide an appealing environment whilst also hiding all of the work that is taking place behind – and all at a low cost in comparison to the rest of the project! Let’s take a look at some of the recent high profile retail building wrap projects completed successfully by Embrace – all delivered on time and on budget. Bracknell’s Lexicon shopping centre is undergoing a massive £240 million transformation creating more shops, restaurants and leisure space for visitors. The renovations include the overhaul of a former Bentalls store which Embrace were on hand to fully disguise. The banners feature stunning visuals of the new centre to give a sneak peek of what lies in store. 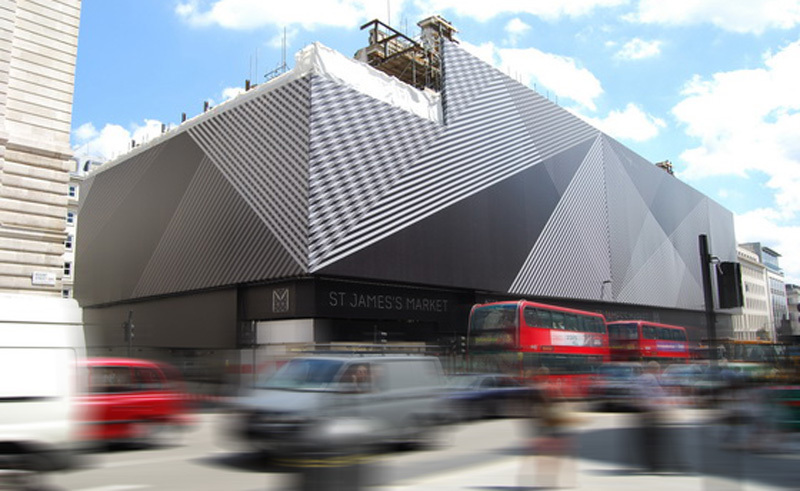 They include two external wraps – one of which spans three elevations of the building – along with durable printed site hoarding graphics at street level and internal graphics to the previous store entrances. 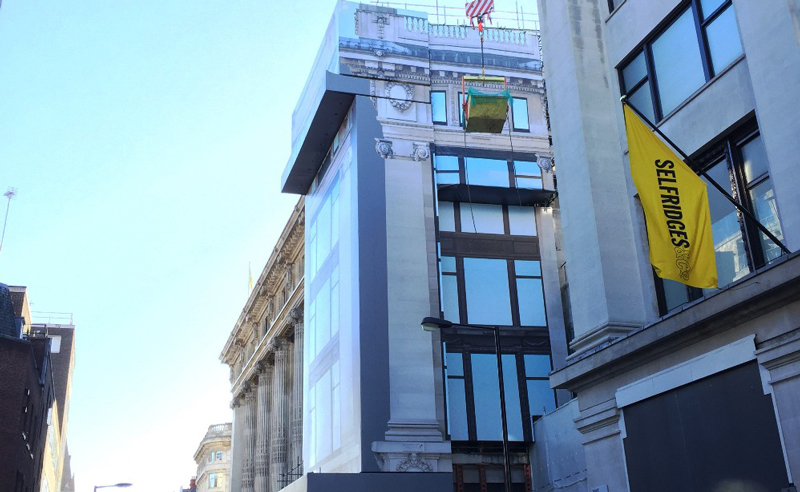 The refurbishments to the flagship Selfridges store on Oxford Street required scaffolding for works to the glazing. Rather than present this unsightly scene to people passing by Selfridges opted to wrap the site. We were on hand to deliver a giant 500 square metre banner featuring a one-to-one scale image of the building, tricking the eye into believing that no work was taking place at all. Measuring a whopping 2,200 square metres, the banner featured a striking modern design and played a huge role in building anticipation and excitement for the fresh shopping destination. To find out more about these and other building wrap success stories why not head over to our building wrap case study page.